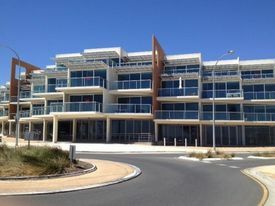 1 Commercial Real Estate & Properties in Christies Beach are listed in 1 categories. We have 1 Retail ShopsLease . NEAR NEW PRIME COMMERCIAL ACCOMODATION WITH BREATH TAKING VIEWS! Hurry! Last Tenancy Remaining. Can be available as one Tenancy of 430 sqm or smaller areas as follows: 103 sq. metres 105 sq. metres 64 sq. metres 154 sq. metres Average tenancy area of around 100sqm.. Suit OFFICE or RETAIL accommodation. AMAZING LANDLORD INCENTIVES including substantial RENT FREE PERIOD STC's ATTRACTIVE RENTAL RATES Contact Con Kavooris 0411 883 338. RLA 231 015.